At CT, certain imaging findings indicate a higher likelihood of lesion malignancy. Lesions greater than 5 cm in diameter tend to be either metastases or primary adrenal carcinomas. However, size alone is poor at discriminating between adenomas and non-adenomas. Using 3.0 cm as the size cut-off, the specificity of such a discrimination is only 79% and the sensitivity is 84% . Rapid change in size suggests malignancy because adenomas are slow-growing lesions. Although it has been suggested that adenomas have a smooth contour, whereas malignant lesions have an irregular shape, there is a very large overlap between the two groups, and shape is therefore not a helpful differentiating feature. Adenomas have a high intra-cellular lipid content, which lowers their attenuation value. If an adrenal mass measures 0 HU or less (with a threshold attenuation value of 0 HU), the specificity of the mass being an adenoma is 100%, but the sensitivity is an unacceptable 47%. Boland et al. performed a meta-analysis of ten studies, and demonstrated that if a threshold attenuation value of 10 HU was adopted, the specificity was 98% and the sensitivity increased to 71%. Therefore, in clinical practice, 10 HU is the most widely used threshold attenuation value for the diagnosis of an adrenal adenoma . Contrast-enhanced CT is a CT scan acquired after the administration of intravenous contrast medium. CT contrast media contain iodine with a very high density and hence a high attenuation value. The contrast medium is usually administered into an antecubital vein and injected at variable rates. The CT images are acquired at variable time intervals after the administration of contrast medium, and uptake of the contrast medium is termed 'contrast enhancement'. Contrast enhancement is directly proportional to the vascularity of the enhancing structure. The increase in attenuation values of adrenal masses after contrast administration is a direct measurement of their contrast enhancement properties. On non-contrast-enhanced CT, up to 30% of benign adenomas have an attenuation value greater than 10 HU and are considered to be lipid poor. Malignant lesions are also lipid poor. Characterization of adrenal masses using contrast-enhanced CT utilizes the different physiological perfusion patterns of adenomas and metastases. 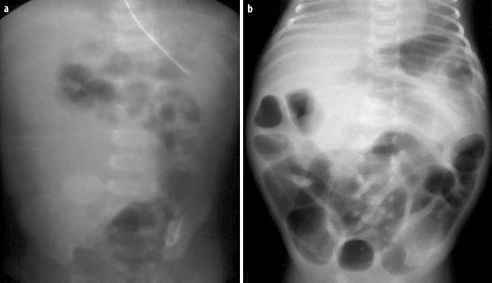 Adenomas enhance rapidly after contrast administration and also demonstrate a rapid loss of contrast medium - a phenomenon termed contrast washout. Metastases also enhance rapidly but show a slower washout of contrast medium (Fig. 1). In a standard abdominal CT obtained for staging patients with cancer, the CT images are acquired 60 seconds after contrast administration. Attenuation values of adrenal masses obtained 60 seconds after contrast medium injection show too much overlap between adenomas and malignant lesions to be of clinical value. Adrenal masses with CT attenuation value measuring less than 30 HU, on delayed images obtained 10-15 minutes after contrast enhancement are almost always adenomas. However, the percentage of contrast washout between initial enhancement (at 60 seconds) and delayed enhancement (at 15 minutes) can be used to differentiate adenomas from malignant lesions. Measurement of the attenuation value of the mass before injection of contrast medium, at 60 seconds after injection of contrast medium and then again at 10-15 minutes, are made using an electronic cursor. These absolute contrast medium enhancement washout values are only applicable to relatively homogeneous masses without large areas of necrosis or hemorrhage. It has been shown that washout of contrast from adenomas occurs much faster than from metastases. Both lipid-rich and lipid-poor adenomas behave similarly, because this property of adenomas is independent of their lipid content [10-15]. The enhanced attenuation value is the attenuation value of the mass, measured in HU, 60 seconds after contrast administration. The delayed attenuation value is the attenuation value of the mass, measured in HU, 10-15 minutes after contrast administration [10-11]. The enhanced and delayed attenuation values are measured as described previously. At 15 minutes, if a relative enhancement washout of 40% or higher is achieved, this has a sensitivity of 96100% and a specificity of 100% for the diagnosis of an adenoma. Therefore a combination of unenhanced CT and enhancement washout characteristics correctly separates nearly all adrenal masses as adenomas or metastases . Early reports were enthusiastic about the ability of MRI to differentiate benign from malignant adrenal masses on the basis of signal intensity (SI) differences on T2-weighted spin-echo images. In general, metastases and carcinomas have a higher fluid content than adenomas and therefore are of higher SI on T2-weighted images than the surrounding normal adrenal gland. Adenomas are homogeneously iso- or hypo-intense compared with the normal adrenal gland. However, considerable overlap exists between the signal intensities of adenomas and other lesions, and up to 31% of lesions remain indeterminate [16-18]. The accuracy of MRI in differentiating benign from malignant masses can be improved after intravenous gadolinium injection on gradient echo sequences. As with CT, adenomas show enhancement after administration of gadolinium with quick washout, whereas malignant tumours and pheochromocytomas show strong enhancement and slower washout. Uniform enhancement (capillary blush) on post-gadolinium capillary phase has been reported in up to 70% of adenomas, but is rare in other masses. In addition, adenomas often show a thin rim of enhancement in the late phase of gadolinium-enhanced images. Metastases frequently have heterogeneous enhancement. However, as with signal characteristics, there is considerable overlap in the characteristics of benign and malignant masses, limiting the clinical applicability of this technique to distinguish adenomatous from malignant masses [19-20]. Chemical-shift imaging (CSI) relies on the fact that, within a magnetic field, protons in water molecules oscillate or precess at a slightly different frequency than the protons in lipid molecules. As a result, water and fat protons cycle in- and out-of-phase with respect to one another. By selecting appropriate sequencing parameters, images can be acquired with the protons oscillating in and out of phase. The SI of a pixel on an in-phase image is derived from the signal of water plus fat protons, if water and fat are present in the same pixel. On out-of-phase sequences, the SI is derived from the difference of the signal intensities of water and fat protons. Therefore, adenomas that contain intracellular lipid lose SI on out-of-phase images compared with in-phase images (Fig. 2), whereas metastases that lack intracellular lipid remain unchanged [21-23].